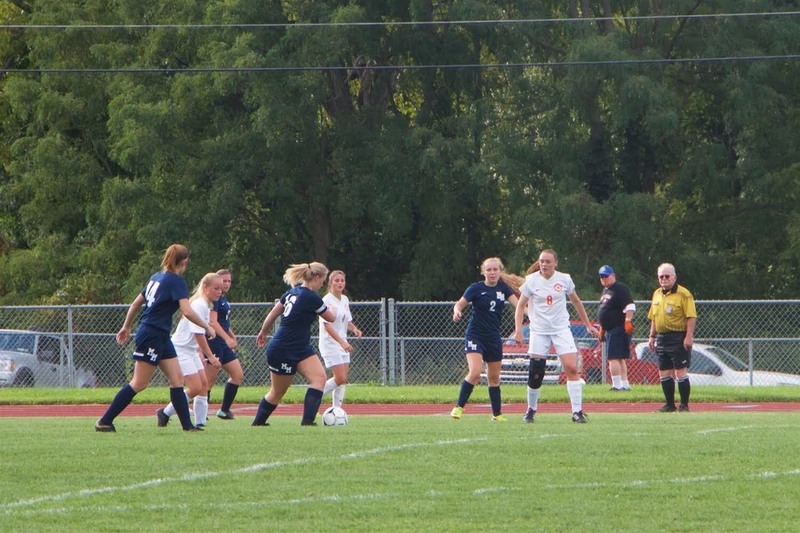 Huge win by the Mount Morris/Perry Girls Varsity Soccer Team by defeating Keshequa yesterday, September 13th, 2-1. After being down 0-1 the girls battled back to put a ball in the back of the net with 5 minutes left in the first half. Kirsten Rivera delivered a ball off a corner kick that Lily Jaques scores off of. Chelsea Pascoe sent a through ball to Autumn Milholen who put it in the back of the net to go up 2-1. The defense played outstanding for 80 minutes and sealed the victory.